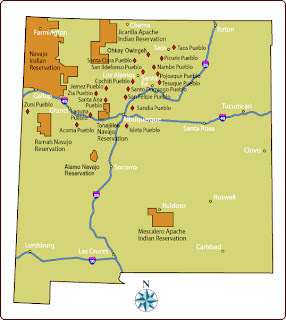 Yesterday I mentioned various Anasazi ruins to visit near Aztec NM. Today I wanted to mention something about visiting active pueblos. All pueblos have their own rules that you really should find out immediately when you arrive. Many do not allow any type of recording, no photos, videos or even drawings. Normally there are large signs posted about that. Should you visit any type of ceremony or dance, do not ever approach the participants or try to talk to them. They are in a spiritual state to perform whatever duty they are performing and you could basically contaminate them. If you are on a Navajo Reservation, or visiting a Navajo Pueblo and see a Tee Pee, stay away from it. They are not put there for tourists and they are not lived in, they are places where religious ceremonies take place and you are not welcome there.